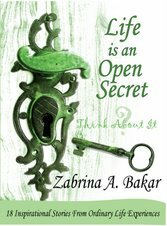 This is one of the stories from 25 stories in Life is an Open Secret-Ramadan Special. Ramadan Special carries 25 motivational and inspirational stories specifically tailored for the month of Ramadan when Muslims worldwide are required to observe the act of fasting from dawn until sunset for a period of one month. This special month brings along with it many benefits and blessings that are sometimes forgotten. Thus, the stories in this book serve as a reminder as to what Ramadan is truly about. All stories are written in a simple, chatty, humorous and witty way that promises to touch your heart, tease your mind, soothe your soul and make you reflect along the way. 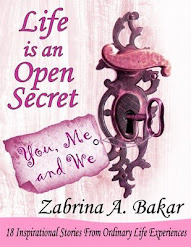 Life is an Open Secret. A must-have motivational and inspirational book for you and the ones you love!